Whether you recently suffered an injury or you have chronic pain that keeps you from doing the things you enjoy, it’s time to get to the root of the issue. Call us or request an appointment online to get the relief you need from Dr. Thomas today! Sometimes joints feel “locked” or tight. This can occur in the arms, legs, and even the spine. But no matter which joint is affected, these sensations can interfere with daily life. Fortunately, when such painful mobility issues occur, these joints can be moved in a specific manner to ”unlock” them. The right therapeutic technique will combat this stiffness by naturally working to unlock the joint. Therapeutic techniques used to target these joint issues can fall into one of two primary treatment categories: Joint Mobilization and Joint Manipulation. At Hamilton Physical Therapy, our specialized staff can offer treatments that fall under both of these therapeutic methods, based on your specific care needs. Our team is ready to provide the care you need to return to a state of normalcy and mobility. Call 410-444-2770 or book an appointment online - we’ll be glad to discuss your care options! What Causes a Joint to Feel Locked? Locked joints are known among professionals as “joint locking”. This issue is identifiable due to a patient being unable to fully move the joint in a specific direction. This loss of motion can interfere with the proper use of a patient’s arms or legs, as well as potentially interfere with comfort and movement overall should part of the spine “lock” up. What Happens During Joint Mobilization Treatment? “Joint mobilization” refers to a manual therapy intervention technique that consists of small passive movements. These movements are usually applied as a series of gentle stretches in a smooth, rhythmic fashion. Mobilization typically targets the movement of a skeletal joint - specifically, it is usually prescribed to treat a synovial joint. (A synovial joint interlinks pairs of bones within a joint capsule, and is the most common type of joint in the body.) When applied to joints within the spine, this care technique is known as spinal mobilization. Joint mobilizations can be graded on a scale from I through IV, depending on the range of joint movement. These techniques are often used by chiropractors, osteopaths, occupational therapists, and physical therapists. What Happens During Joint Manipulation Treatment? Joint manipulation involves a quick (but small) thrust to a joint to provide immediate pain relief and improved mobility. It is characteristically, but not always, accompanied by an audible “click” or “pop” sound. If there is still stiffness remaining in the joint following a mobilization session or series of sessions, your PT may proceed to a joint manipulation to further relieve your symptoms. However, this technique is not always a viable option. Joint manipulation cannot be performed when patients have osteoporosis, fractured or weakened bone(s), neurological deficits, bleeding disorders, excessive joint mobility, or excessive pain. Joint manipulations are typically considered grade V (one step above the stronger mobilization session). What are the Benefits of Joint Mobilization / Manipulation? Joint manipulation and joint mobilization are both techniques that have been clinically shown to effectively provide relief from many different conditions. Research consistently reports that these care options decrease and/or relieve pain; increase joint movement and mobility; and decrease tension in surrounding muscles. How Will I Know if Joint Mobilization / Manipulation is Right for Me? 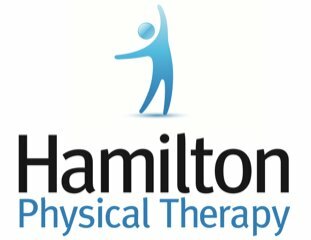 Hamilton Physical Therapy, a private PT clinic in the Baltimore area, provides expert care that includes a customized care plan involving common physical therapy techniques and holistic health approaches alike. When patients come to our practice, we take time to review their history and perform a thorough examination to help us pinpoint all of your problem points. Based on your history and our evaluations, we will discuss the option of joint treatment should we find that it could be beneficial. Our doors are open to all, and our team will always make sure that we personalize and deliver the right treatment to you. Call us at 410-444-2770 or book an appointment online to start your care journey today!